Got a small gathering planned? 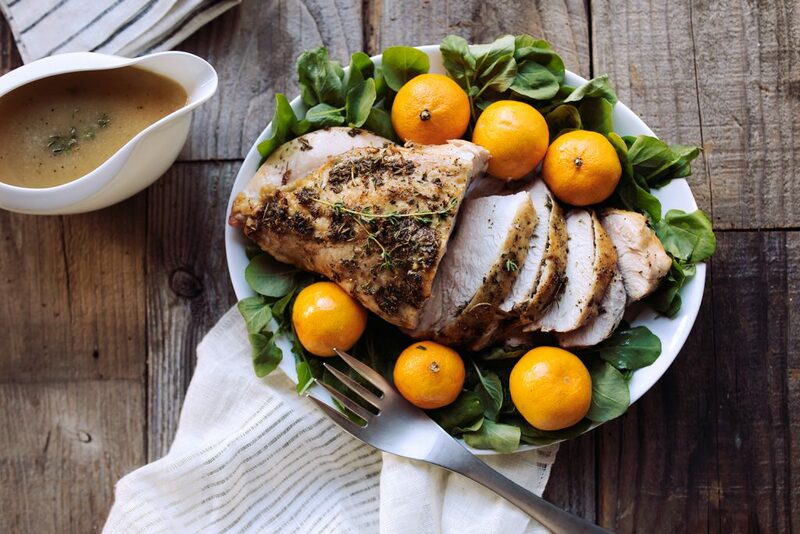 This Herb Roasted Turkey Breast is a simple and easy way to enjoy the flavors of Thanksgiving without slaving over a HUGE turkey. 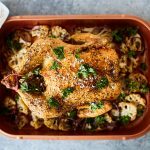 The skin gets beautiful crisped and golden browned and the herbed butter (or olive oil) brings a beautiful flavor to the whole breast. 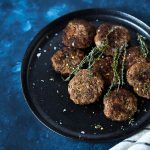 Gluten-free, paleo, keto, whole30 – friendly. 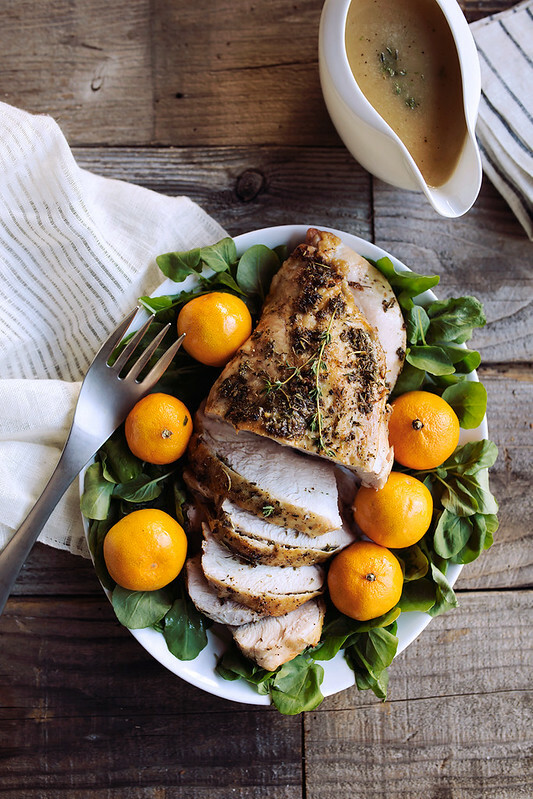 Roast turkey breast is a really great alternative to roasting a whole turkey. 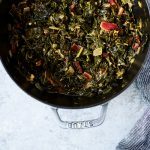 Not only is it less work, it’s less time, too, which leaves the oven open for making some of the must-have sides, ahem – I am looking at you stuffing and roasted Brussels sprouts. 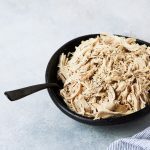 A four- to five-pound turkey breast will feed six to eight people, it’s a cinch to carve, and it’s perfect for making those tasty leftover sandwiches or salads or a delicious soup the next day. 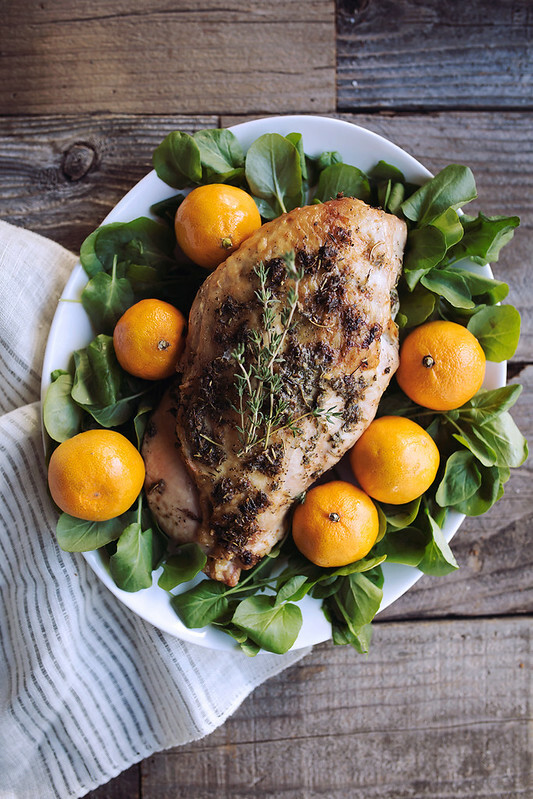 Enjoy this easy Herb Roasted Turkey Breast recipe for Thanksgiving or Christmas. Or really, you can make it any other time of the year; the leftovers are fabulous! 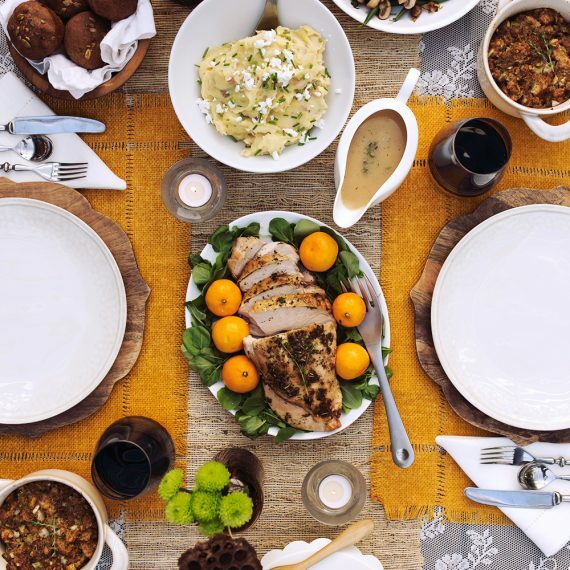 I especially love that without fussing with a whole bird, all the cook time and the carving time, you get more time to spend with your loved ones, because that’s what it’s all about, am I right? 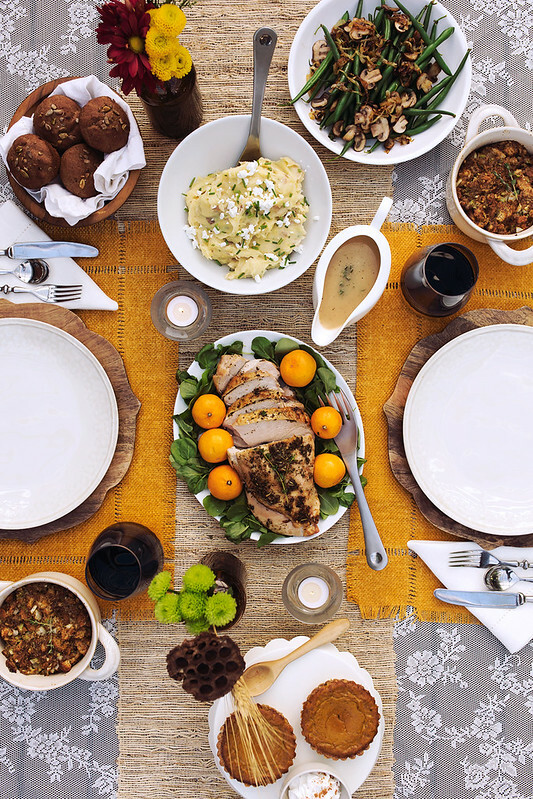 This turkey breast is tender, juicy and it’s delicious served alongside your favorite stuffing, cranberry sauce and some mashed potatoes 0r cauliflower mash and definitely some green beans. Don’t forget a pie for dessert. Preheat the oven to 450ºF. Rinse the turkey breast and pat dry. In a small bowl mix together the butter, herbs, salt and pepper. Carefully run your fingers between the skin and the flesh from 1 end, being careful not to pull it completely off, creating a pocket. Stuff about half of the herb butter paste under the skin of the breast, and spread it evenly under the skin. Transfer the breast to the roasting pan. Rub the remaining herb butter on the outside of the breast, paying special attention to the top where the skin is. Place the turkey in the 450ºF oven and roast for 20 minutes. Reduce the temperature to 375ºF and roast for an additional 15-20 minutes, until cooked through, and a thermometer placed in the thickest part of the breast registers 160 - 165º F.
Let stand for 10-15 minutes, tented with foil, before slicing. I bought a bone-in turkey breast at Whole Foods and had the butcher de-bone it. If it's a larger cut, ask your butcher to roll and tie the boneless breast so that it cooks evenly. 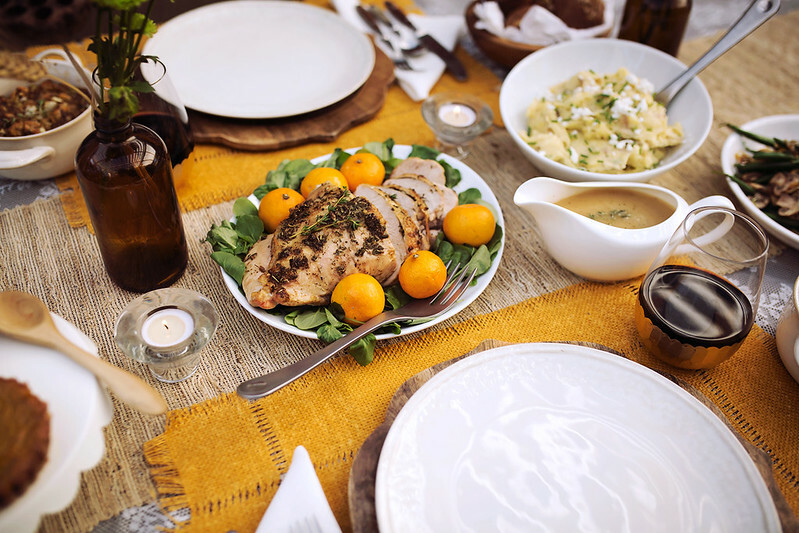 The method for roasting a bone in turkey breast is the same as this boneless turkey breast, just note that the cooking time will likely increase depending on size. The bone will affect the way I which the heat is distributed throughout the meat. Any meat touching the bone has an extra layer of insulation, so it will likely take a bit longer to cook. Be sure to check the temperature with a meat thermometer, taking care not to hit the bone. It should read 165°F! You can have your butcher debone the turkey breast for you, which is what I do, since I much prefer how the meat cooks. Not having all the beautiful pan drippings from a whole bird, this gravy relies on turkey or chicken stock, so choose a high-quality stock or better yet make your own. Add in whatever pan drippings you do get from the turkey breast for a robust flavor. Gluten-free, dairy-free and paleo. Add 2 cups of turkey or chicken stock to a small saucepan with the fresh thyme and bring to a boil. Reduce the heat to a medium-low. Remove the sprigs of thyme. Transfer about 1 cup of the gravy base to a medium bowl and whisk in the arrowroot starch. Whisk well to remove any lumps. Return slurry to the gravy base and whisk over medium-low heat, simmer and whisk until thickened and smooth. There won't be tons of drippings from the roast, but pour off any that there is, fat included, scraping up any little browned bits, too. When adding to the broth, you may want to strain it before you add the thickener. homemade turkey stock is best, if you have it on hand, if not, store-bought (gluten-free) will work, too.